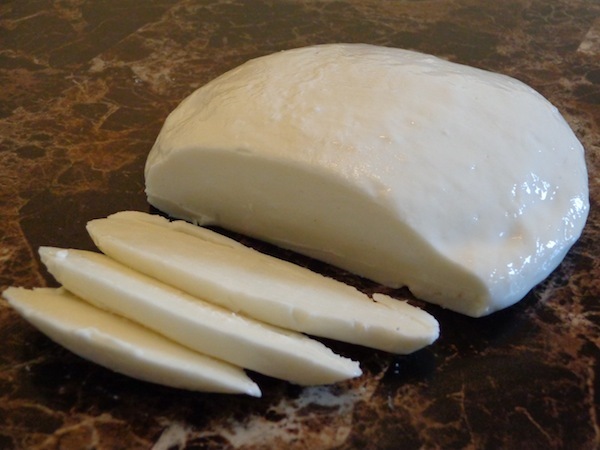 Today I’m going to show you how to make Homemade Mozzarella Cheese. 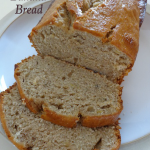 This is yet another recipe that I never thought I’d make, but I’m so glad that I did! I’ve had this on my “to make list” for a couple years now and I figured it was time to get around to it! I was so intrigued making this cheese. I think it was part science experiment and part recipe! I was also impressed that from start to finish, clean-up included, it took me less than an hour to make! Pretty impressive if you ask me! Dissolve the citric acid in 1/4 cup cool water. Dissolve the vegetable rennet in 1/4 cup cool water. Pour the milk into a stainless steel pot. Gently stir in the citric acid mixture. Over medium to medium-high heat, heat milk to 88° F, continuing to stir. (I used a candy thermometer to check the temperature). Don’t be alarmed when the milk begins to curdle (see photo #2). At this point the curds (white part) should have pulled away from the sides of the pot and you should see a lot of whey (yellowish clear liquid) around the sides (see photo #3). If the whey is still a milky color, cover and wait a few more minutes. Gently stir the curds under the water. Their internal temperature should be 135° F.
Ladle the curds onto a cutting board. (The cheese will be warm so be careful not to burn yourself.) Sprinkle the salt and stretch the cheese (which seems more like kneading dough, to me). (See photo #6) It will begin to tighten, and become firm with a glossy sheen. Shape the cheese into desired balls, being careful not to over-work the mozzarella. I know it sounds funny to say, but this cheese tasted just like mozzarella from the store. I felt healthier eating it, though, because I knew it didn’t have all the preservatives that store-bought cheese has. 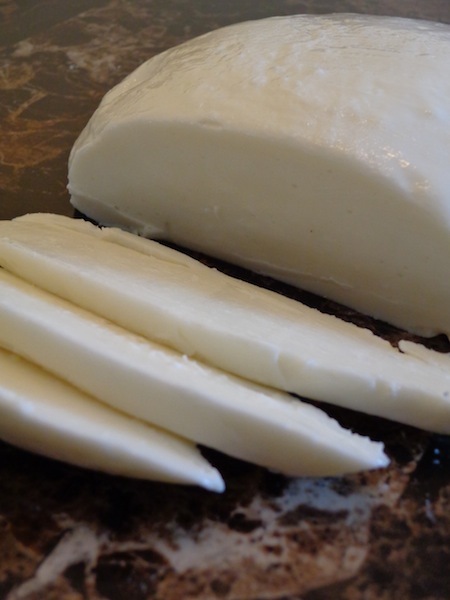 If you have kiddos in your household, that like to experiment, I think they’ll love to make their own cheese. This would definitely be a fun activity for the whole family! One recipe barely put a dent in the supplies I purchased (except for the milk) and I’ll have plenty to make even more yummy mozzarella cheese! Your ancestors would be proud of you! Well, thanks! I appreciate you saying that! I just wanted to say thank you for this great recipe. I haven’t actually tried to make it yet because I need to stock some of the ingredients but it sounds like the flavor would be awesome and Italian dishes are my favorite foods. I know once I am successful at making this I will never buy store brands again. Fresh is always better!!! I got to go to the store now but will let you know how it turned out. Thanks again. You’re welcome, Bill! I look forward to hearing how it turned out. How can I print this recipe. I want to save it for future uses. I think I missed the part where we add the cheese salt? Also, where would you find these ingredient s? I’d love to try this out! Thanks! Hi Anna! You’re absolutely right, I failed to add that step. (Sorry. I’ll get that added in for everyone else.) When you remove the curds from the water for the last time and begin stretching the cheese, add the salt. If you click on the ingredient links, you can find the products on Amazon. How much cheese does this recipe yield? I’m not really sure on the ounces, but the cheese ball in the picture is what this recipe yielded. Well, I think the reason I wanted an answer to this is to determine if it is cost effective. I found mozzarella on clearance the other day at Winn-Dixie–about a baseball size–for $1.50. I’m not too hung on preservatives. This was fresh, and it did wonderful in my lasagna. Before I invested in the salt and the rennit and the milk, I’d need to know if it would be worth my while, financially. Susanne, I don’t think it would be cost effective for you! A gallon of milk alone would be more expensive than what you’ve found on clearance. About how long do you thing the cheese will last? And what is your preferred method of storing it? I store mine in a plastic ziploc container. I’d say it’ll last 7-10 days in the refrigerator. I just wanted to say, I have bought mozzarella and I have bought mozzarella. There is a huge difference in the taste and texture of different cheeses. My man brought home some on sale stuff. It’s still in the fridge. A fantastic quality mozzarella cheese actually melts in your mouth. It’s like silk. I just want to know, do I use regular whole milk I buy at the grocery store? You sure do, Tammy! Enjoy! Found this on pinterest and am using for a class at my library next week. Super simple instructions and everything came out great in my test run. 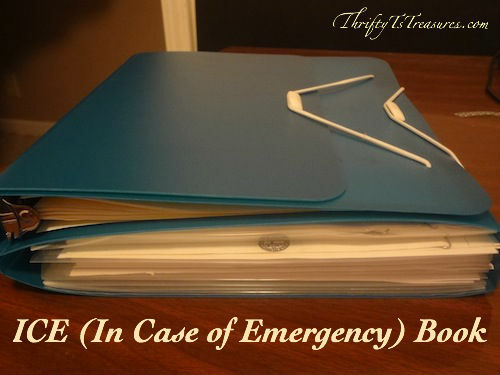 Thank you for sharing this how-to! Melissa, I’m so excited that you’ll be sharing this at your library! Thanks for letting me know! Wow! 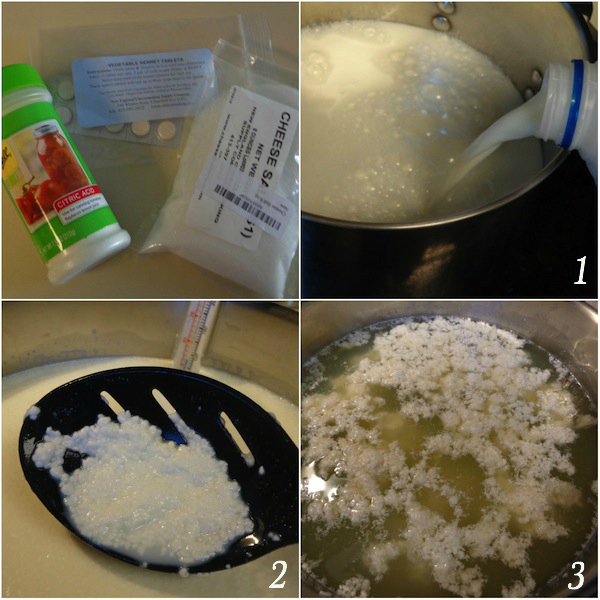 Thanks for sharing, I never realized how easy it was to make cheese! I really want to try this now, I just need to buy the ingredients. Hopefully mine turns out as great as yours! I was shocked at how easy it is to make too, Morgan! I hope you have as much fun making (and eating) it as I did! WOW ! It worked , and it is delicious! Easy peasy, who knew ? Thanks a bunch . Thanks for stopping by and letting me know, Lynda! Hello. I was really excited to try this. I bought all the stuff to make it and followed your directions but the cheese came out like ricotta cheese. Does that happen sometime? I’m sure I could still you this in lasagna or something. 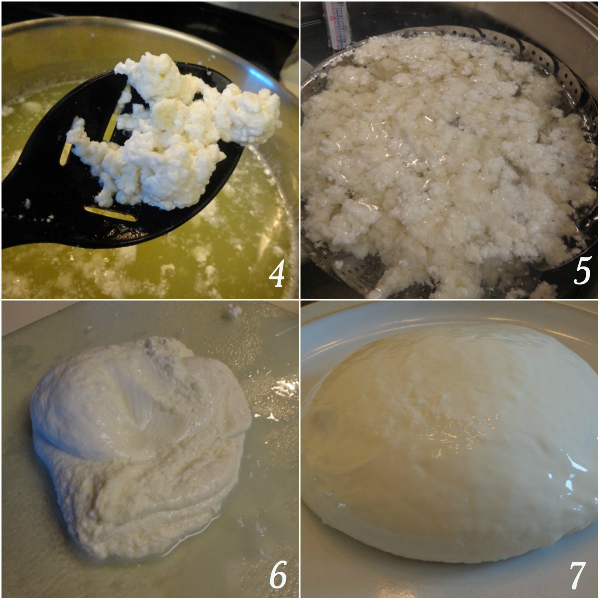 Any pointers on getting the result of actual mozzarella? Hi Rachel! Did it ever get to the consistency of the picture in step #5? The only thing I can think of is that it needs stretched longer. I hope that helps! Well, I’m glad that it was yummy in the lasagna! I used 2% milk. Hopefully you will have better success next time! If you used 2%. Why did you list While milk in your ingredients list? I thought I was going to have ricotta cheese, too! I kept following the directions, a little disheartened, and then magically, as I was kneading the little tiny pieces of curds, they suddenly turned into the most beautiful mozzarella cheese ball. thank you. thank you. thank you for sharing your talents with us, Tshanina!! Yay…it’s almost like magic isn’t it Theresa?! So glad you enjoyed the recipe!!! I’m thinking the milk wasn’t heated enough. I had a similar problem. I looked at the directions for the rennet that I bought and it called for a 1/2 tablet. When I used the 1/2 tablet my problem was resolved. I hope this helps! Now you can also make ricotta from the whey. Easy and so yummy. What is the measurement when I’m using liquid rennet? I’m just about to begin. Nancy, I’ve only used rennet in tablet form! Did you, or can you use organic milk? Pati, I did not use organic milk, so I’m not sure how to advise you! LI used organic whole milk and it came out fine. Can the cheese be frozen afterward? Also, what can you do with the whey? Use it to make bread. Hi Holly! Although I’ve never tried it, I would imagine it could be frozen. do you think that this would work with almond or soy milk? Elizabeth, although I’ve never tried it, I don’t think this recipe would work with almond or soy milk. I haven’t cooked with those milks a lot, but when I did add soy milk to my scrambled eggs it ended up having a weird flavor. instrad of using citric acid powder you can use 1/2 cup of apple cider vinegar. You can also use the junket tablets that usually are in the pudding/baking section of the store. It is the same as rennet, but you don’t have to get it some place special. We used to share a Jersey cow with another family and I made all the butter and mozzarella. You can also add seasonings to your cheese at that last stage. It also freezes very well if you happen to make it last that long! This was really useful thanks as I can’t seem to find rennet tablets. If you’ll follow the link to the vegetable rennet under the ingredients list it will take you to Amazon where you can purchase them. I am wondering if you could make this with Lactose free milk? I haven’t tried lactose free milk so I honestly don’t know if it will work with it or not. I am going to try in a week or 2 and I will let you know how it turns out. Did you ever try this with lactose free milk? If so, how did it turn out? I love cheese, but it does not love me in return. Have you ever seen the movie French Kiss, where Meg Ryan’s character ate a ton of cheese, and was then curled up in a ball, in pain? Yeah, that’s me. We used to live 45 minutes from the French border, and we loved going over for the day, or sometimes, just for dinner. Of course I always ordered the cheese plate (I mean, it’s France, and it’s probably illegal not to order one, anyway), and would relish in the sheer deliciousness of it, despite my husband rolling his eyes at me the entire time, but later I would be a puddle of weeping misery. Totally worth it. I am going to try it this weekend or next week. I will let you know how it comes out. Have you tried the lactose free milk yet? I left a comment below before I read this one I am in the same boat as Shoe Queen when it comes to cheese. I would LOVE to try out this recipe, however, I have a question… what “gallon” did you use? I tried converting “Gallon” to “Litres” and there’s a UK and US gallon with different results; UK was 4.5L and US was 3.7L… Which is closest to what you used? Hi Justine, 3.7 liters is closest. What is special about cheese salt? To be totally honest, I’m not sure. The cheese salt was in the original recipes I used so that’s why I included it in my recipe. Thanks for stopping by, Danette! Cheese salt is just that the salt is without iodine. Iodine harms and inhibits bacterial growth and well-being that is essential to any good cheesemaking. Iodized salt can also slow the aging process drastically. Hey all. Just finished reading all your posts. A couple of observations. 1. If you use liquid rennet you use 1/4 teaspoon power gallon of milk. Dilute in non chlorinated water prior to adding to milk. 2. Cheese salt is non iodine salt. Also known as kosher salt. 3. When using fresh cows milk you do not need the citric acid. 4. With your leftover whey make ricotta cheese. Just boil the whey to 200 degrees then let sit till it cools to 140 degrees. Place in cheese cloth and let drain for about 1 hour or until it gets to the consistency you want. I have tried to make mozzarella a few times, and failed! It is hard for me to admit that I cannot make this work for me cause I am usually very successful in the kitchen. I want to try again now cause your pictures are awesome. And I so want to have delicious homemade mozzarella for cheap! Kudos to you for trying, Kati! How ironic – I am just finally getting around to making this cheese myself for the first time today! I’m guessing you have the same book I do – have you tried any others from it? Hi Lisa! I don’t have a book, but would love to check it out. Have fun making your cheese! Yay! I’m so excited to hear that, Lisa! And thanks for the sharing that book. I can’t wait to check it out. That is a bummer, Ann! Wow, looks simple. Didn’t know that cheese making could be easy at home.Thank you for sharing with us at #HomeMattersParty. We would love to have you next week again. It sure is, and is also so fun to make! Thanks for stopping by Sahana! Can I substitute carrageenan for vegetarian rennet? I have only made it with rennet so hopefully someone else can chime in on the carrageenan! At what point did you add the citric acid. I didn’t read through all of the comments to see if that was brought up. Thanks! Dissolving the citric acid in water is the very first step. my pot is not stainless steel, will this be a problem? No, that shouldn’t be a problem. Enjoy, Peggy! Hi I am in South Africa, please explain what is rennet? Maybe I can find something else here that I can use. Rennet. Rennet is the curdling enzyme that sets milk during the cheese making process. We have it available in South Africa in free powder and capsule form, from animal as well as vegetarian, vegan, microbial varieties. Also known as chymosin or rennin. How much cheese does this make? If it uses a whole gallon of milk I would hope it makes a lot of cheese! The cheese ball in the pictures is how much it yields. Hello, I’m new to the cheese making world. I have ordered rennet, citric acid and salt but I’m a little lost on what milk to use. 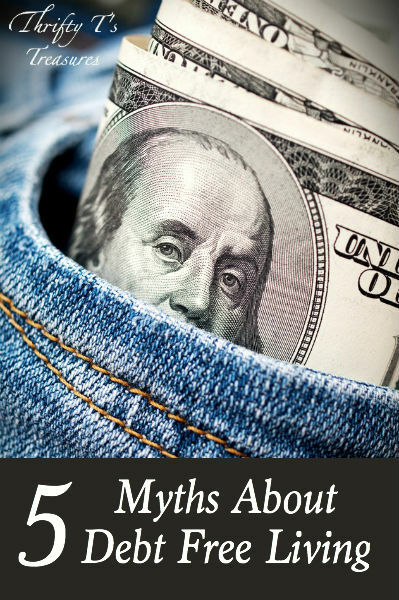 Many sites say to not use UTH milk and this and that and so forth. What kind of milk did you use? It looks like a store bought one. Did you look for something special when buying it? Hi Andrea! I didn’t use a special milk, just the store brand of whole milk from wherever I was shopping at at the time. I tried this this weekend and it didn’t work out so well. Taste was good but it never got to where I could stretch it and was more like a ricotta texture. After 2 days in the fridge it did set up but during the making, after “kneading”, which was more like squishing my hands through thick mud, for at least 30 or 40 minutes, the texture was just like dry’ish ricotta. Any suggestions would be appreciated. I’m sorry to hear that it didn’t go as planned, Michele! I am lactose intolerant and wonder if this would work with lactaid milk. I did read that overly pasteurized milk may not work, and I just wondered if anyone had tried it with lactaid milk. I would love to be able to have mozzarella I could actually eat without taking a bunch of pills first!! The lactose intolerant pills are your best bet if you’re going to make cheese with cow’s milk. Years ago when a baby was lactose intollerant they could tolerate goat’s milk. I wonder how the recipe would need to be modified or even if that’s possible if you used goat’s milk. Maybe do some research. I know you can make cheese from goat’s milk, but I’m not certain what types. After you place the curds in the second 190 degree water, do you turn that pot of water off while it sets for 5 minutes? I assume so since you’re trying to get the temp down to 135 degrees, but just wanted to make sure before I tried it. Yes, that is correct, Karen! Would this work with lactose-free milk? I honestly don’t know if it will work with lactose-free milk or not. I have had great success using tartaric acid to make mascarpone. Do you think i could substitute this for the the acetic acid you used? If so, any ideas on the quantity of tartaric a=ocid I should use? Hi Jamie! Unfortunately I haven’t worked with tartaric acid so I don’t know how to guide you. But, I’m the type of baker that likes to try things so I would definitely try it! If you do use the tartaric acid please let us know how it turns out! 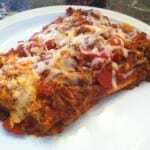 This may sound stupid, but have tried it on pizza and does it melt good? Doesn’t sound stupid at all! Honestly, it’s never lasted long enough to try on pizza so I’m not sure how well it melts. If you try it on pizza, please let us know how it turns out! This recipe turned out great! Thanks for the great information and instructions! Best mozzarella ever!!!! Yay, Suzette, thanks for sharing! Hi! I have been so excited to try this recipe, however when I attempted to make it tonight it did not curdle at all- it was still the consistency of the milk I started with. Any idea on what may have gone wrong? I want to try again this week but want to try to troubleshoot beforehand. Any feedback would be most appreciated! Hi Courtney! It sounds like it may need to be heated longer. 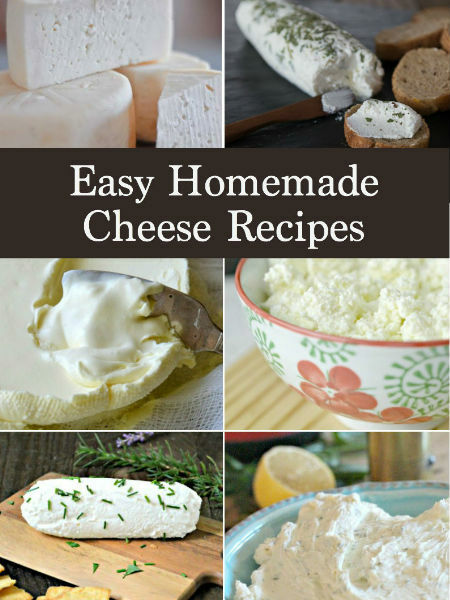 Its really a nice and easy way to make cheese at home. I am very much excited for trying this. Thanks for sharing your idea, Tshanina Peterson. I imagine have an agreement with Amazon to promote products but I would note that some of the products to make the cheese are found at a better price through Walmart. 2 questions… Are the ingredients available (other than milk) at stores and/or where can one find them? And when would you add other ingredients ( like basil, pepper flakes, etc) if one wanted to. Are there any rules to additions? Ok, 3 questions! More than likely the ingredients are available at stores, but I’m not sure where to point you since I purchased mine on Amazon. I haven’t added other spices to mine but I bet it would be scrumptious! I’ve heard that you need to place flavorings (garlic and large pieces of spices) in a cheese cloth and add it when you first start warming your milk. I would think you could add your basil and pepper flakes at that same time. Or you could sprinkle them on top when you serve your cheese. I hope that helps! 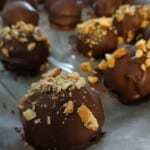 I have now attempted this recipe twice, following it to a “T”, and have had 2 epic fails! The first time, I found regular pasteurized (brand specifically designated that they NEVER ultra-pasteurize)…a miniscule amount of teeny tiny curds resulted and I attributed it to the most probable thing–the milk. So, I sourced fresh cows milk, followed the recipe exactly, and just peeked into the pot and absolutely “zero” curd formation…am a little frustrated. I have 2 questions: 1) What could I be doing wrong?! …and 2) Is there anything I can do with the liquid product I have left? Seems like such a waste to throw it out. Very disappointed as I was looking forward to a nice margherita pizza (I am locally…as in friends and family (lol! )…famous for my pizza and I thought this would kick it up a notch). Any advice would be welcome. Thank you, in advance. Lisa, I’m sorry to hear that this recipe hasn’t worked for you.